Today marks the 250th Anniversary of the transfer of the seat of Nueva Segovia from Lallo Cagayan to Ciudad Fernadina de Vigan in Ilocos Sur. This is a joint activity of the church and the government. 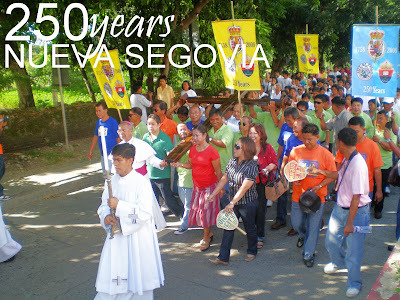 The old city of Nueva Segovia was founded by Pablo Carreon in 1581 in the Cagayan Valley near the mouth of the Ibanag River or the Rio Grande de Cagayan. It was named after the old city of Segovia in Spain, the capital and principal port of the region. 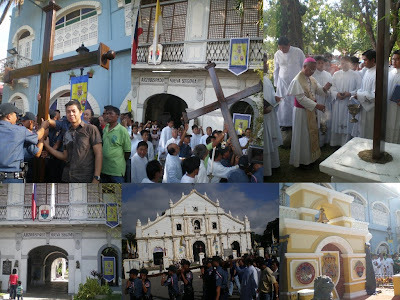 Because of distance and the need for a site at the center of the diocese, it was transferred to Vigan in 1758. The former site in Cagayan was slowly washed away by the river. Vigan, on the other hand, was rising as center of Spanish culture, politics and economy. The bishops and the clergy therefore preferred to stay in Vigan. On the same year that Villa Fernandina was elevated to Ciudad Fernandina de Vigan and named after King Fernando VI of Spain. In joyous celebration of the occasion the very first baby born in Vigan on Sept 07, 2008 was given gifts and scholarship grants from elementary to college as a sign of support to the children by the local government of Vigan City. At 3 pm, a symbolic cross was turned over by the delegates of Lallo Cagayan headed by Mayor Pascual to the group of Biguenos headed by Mayor Medina and Bishop Ernesto Salgado. The two groups met at Calle Quezon where a short ceremony was conducted citing the historical significance of the event. 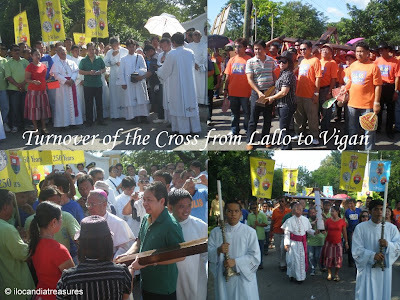 The two groups carried the cross way to the city hall for the unveiling of the marker of 250 years. Biguenos who were born on September 07 were awarded with commemorative medals. The cross was later erected infront of the Palacio de Arzobispado Nueva Segovia. Speeches were delivered by the mayors, the bishop and some members of the clergy including a speech in Spanish. Balloons were simultaneously released into the air. As a finale, a mass was celebrated by the bishop.